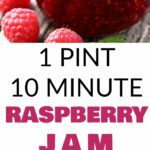 EASY 1 PINT 10 MINUTE Raspberry Jam! 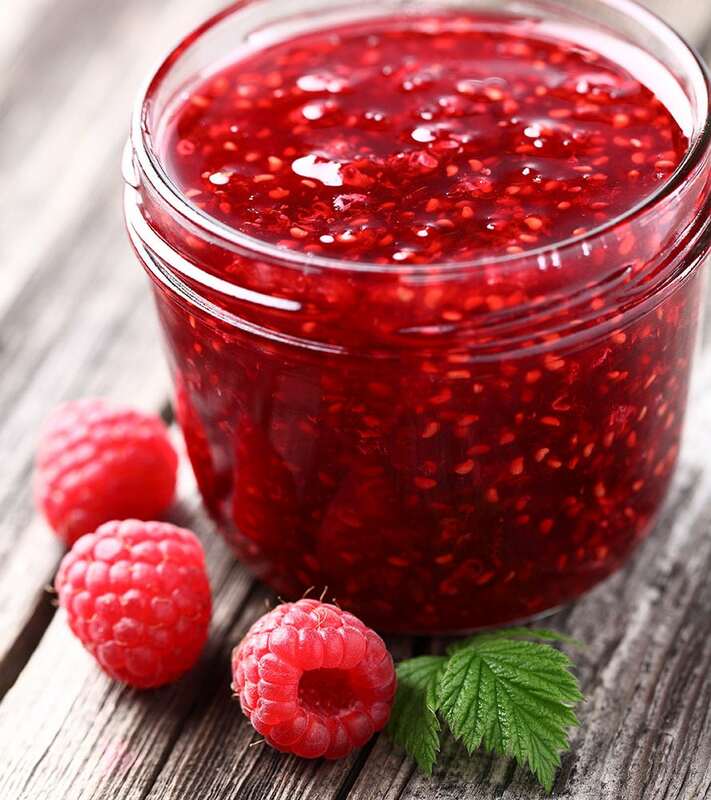 This simple recipe uses 1 pint of fresh raspberries, honey and lemon juice to make delicious jam! This homemade jam is healthy and requires no pectin and no sugar! I always make 2 jars – one to store in the refrigerator and one to store in the freezer! When Summer gives you fresh raspberries you stuff them in your mouth. Immediately. When Summer gives you so many fresh raspberries you can’t fit anymore into your mouth then you make 1 Pint 10 Minute Raspberry Jam! I love “1 Pint” recipes because often people aren’t picking or buying 8 cups of raspberries at one time. If you see a deal on raspberries at the farmers market usually they are by the pint. Same goes for garden harvest, often you pick 1 pint here, 1 pint there, berries are so picky (no pun attended) so I’m not often picking them all at once. This recipe only requires 1 pint of fresh raspberries which is approximately 2 cups worth. All you have to do is throw all your ingredients into a saucepan and let simmer for about 10 minutes. I like to give my jam a few stirs during the process to make sure it isn’t sticking to the pan, and also to check the consistency. If you feel like the jam isn’t thick enough, raise the heat a little bit and continue heating until you get the thickness you’d like. Raspberry jam is our favorite and we use it almost everyday on toast, pancakes and peanut butter sandwiches. This recipe tastes just like the store version but it’s better because it’s fresh! I hope you enjoy this 1 Pint 10 Minute Raspberry Jam! Tip: If you buy jam in the store, save the glass jar (and lid!) 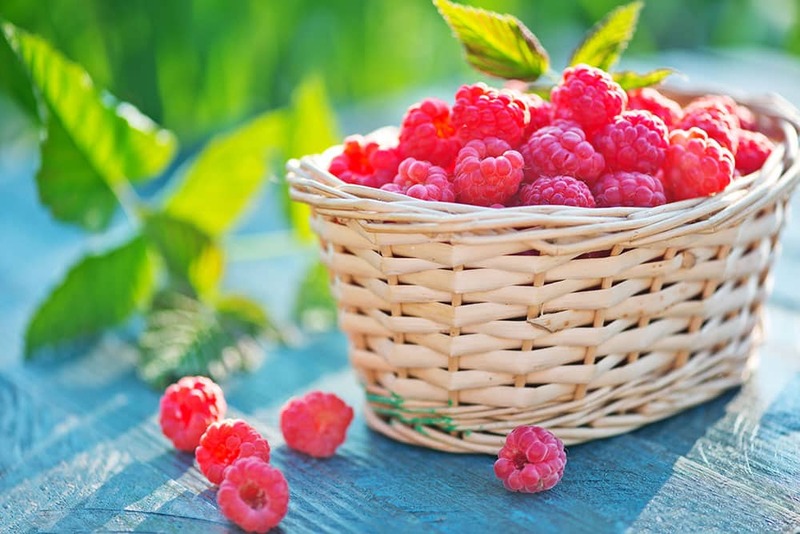 for the Summer and recycle it for this Raspberry Jam! The jar works great in the freezer too! Put all ingredients into a saucepan and stir. Bring to boil, then simmer 10 minutes until jam consistency. This is one of my favourite go to recipes. Love the colour Pamela. Great idea to have a 1-pint jam recipe! I wish I’d found this recipe only a month ago when fresh Scottish raspberries were still available! Love the color of this! And I’ll bet the flavor is even better. Thanks! 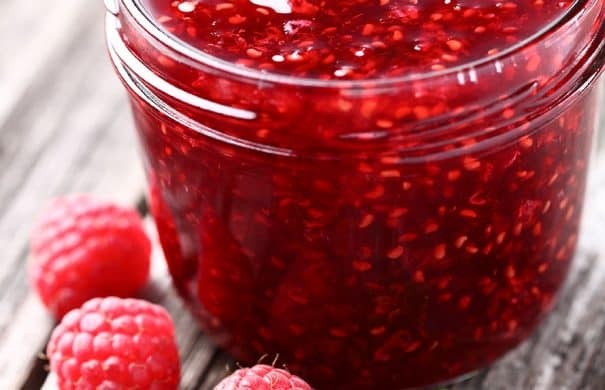 Homemade jams are the best and this raspberry jam looks so delicious. Love that pink color. This is so easy–fool-proof really, and it looks so good! I love the vibrant color too! 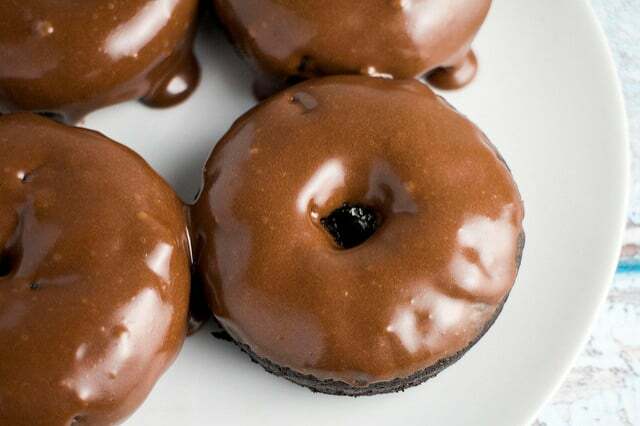 This looks so delicious and easy to make. I love raspberries but have never made my own jam…this looks like a great recipe to start with. Small jam recipes are wonderful. Sometimes it’s hard to get enough fruit to make a huge batch. I’ve never used honey as a jam sweetener before. I will need to give it a try. too good to be true!!! love it! Love this. I found you on a blog hop–so glad I did. I have a bazillion blackberries in my freezer, but I don’t want to spend all day making a ton of jam. This will allow me to take some out, make a little jam when I want it. Thanks! Such a simple recipe and allergy friendly to boot! I have some raspberries that need to be used tomorrow or they are garbage so now I’ll be making some jam. Thanks for sharing! This looks delish!! And, I LOVE your blog! Pamela, your photos are gorgeous! I love making small batches of jam. Pinning and tweeting this one! Oh, yum! This makes me feel so bad about using store-bought jelly and jam. Maybe I should recruit my (raspberry addicted) 8-year-old to make some with me. Thanks so much for sharing at the #happynowlinkup! Didn’t have a chance yet to read this in my email. Glad to see it on the Homestead Hop Link Party! I’ve always been intimidated and thought homemade anything was super hard. Super excited about this since Raspberry jam is my jam! It doesn’t get much easier than this and I love that it’s a 1 pint recipe. Thank you for sharing with us this week at Celebrate Your Story and we hope you will join us again next week. That looks so tempting! Yummy! I’ve never made jam but you have shown how easy it is. Thanks for sharing with us at #BloggersPitStop and have a great weekend. Looks so good! Thanks for sharing at the Inspiration Spotlight party @DearCreatives. This looks so good and easy. Thank you for sharing at Sugar, Spice, and Family Life. Good Afternoon Pamela, I love making jam and marmalade and so I was interested to read about your 1 pint raspberry jam. I have just moved house and I have raspberries growing through my garden fence. Actually they are my neighbours raspberries and he has told me to help myself. Isn’t that kind of him. Guess what…. I am going to collect a pint’s worth and make your jam next week as I love raspberry jam. Hey Daphne – wow, what a lucky lady you are with access to all those raspberries! Enjoy! That looks delicious! I thought making jam was an hours long process. Had no idea you could do up a batch in 10 minutes! Have always loved the store-bought version of raspberry jam, so I’m sure this is much better! We love raspberry jam at my house. Yum! Thanks so much for sharing this with us at the To Grandma’s house we go link party! I’ll featuring you tomorrow morning when the new party starts! I added the tiniest bit of corn starch since it wasn’t thickening enough…about 1/4 tablespoon added to a little cold water. i mixed them until the corn starch dissolved and slowly added it to the simmering raspberry jam. it thickened enough and then i did the cold plate test. once passed i put it in the jars and refrigerated it. DELICIOUS!!! I’m so happy to hear you liked this jam Brianne, it’s one of my favorites! Thanks for commenting and letting me know!